'Hell' as described in most dictionaries doesn't seem to be the right translation. Yet a lot of translations of the Tanakh uses this word to translate words such as Sheol and Gehinom ( גהנום/ גהנם and שאול). What are these? What do they mean, and what happens there? What do the scriptures teach about these concepts and what is the Jewish view regarding these? 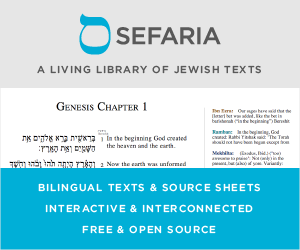 If answers citing Apocryphal/Pseudepigraphal literature are permitted, the book of 4 Ezra contains some interesting material. It's an apocalypse written around 100 CE following the destruction of the temple. "The pit of torment shall appear, and opposite it shall be the place of rest; and the furnace of hell (Gehenna) shall be disclosed, and opposite it the paradise of delight." - (2 Esdras 7:36). It seems to indicate that (at least one version of) Gehenna is yet to appear on the earth, and will open up on the earth at some future time, on the opposite side of the world from a paradisaical portion of the world, which I read as the Olam ha-Ba (the original Hebrew has not survived). I recognize the text of 4 Ezra (now absorbed into the Christian conglomerate text II Esdras) may not be a valid point of reference, so take this answer with as many grains of salt as you like. Not the answer you're looking for? Browse other questions tagged words commentaries gehinnom .